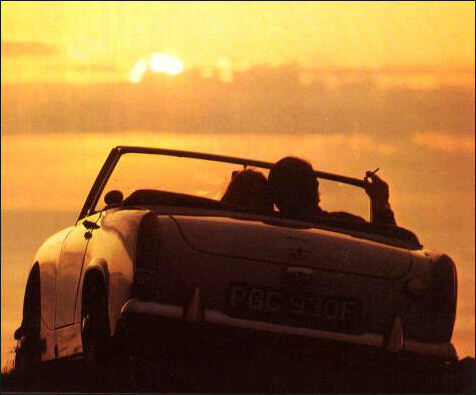 Sprite Mk IV cabrio (1300) (R4 cyl, 1275 cm³, 66 KM) - ost. rok. Powstało 14.350 szt. # gen. class perf. eff. 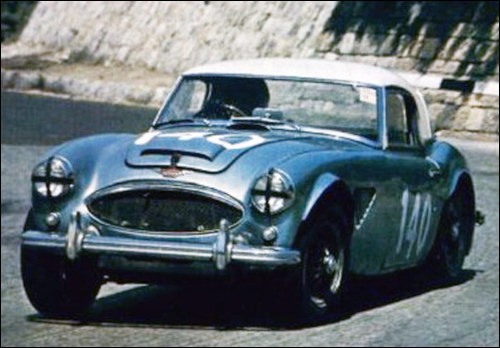 3000 Mk III (Ted Worswick / Richard Bond) at Targa Florio. 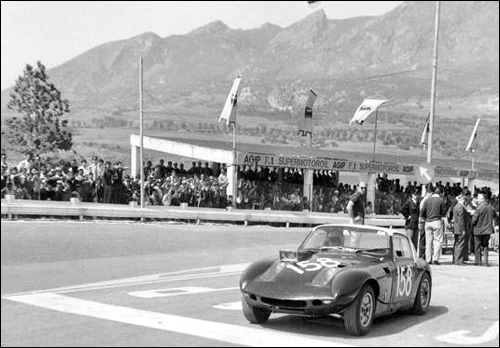 Sprite (Jack Wheeler / Martin Davidson) at Targa Florio. 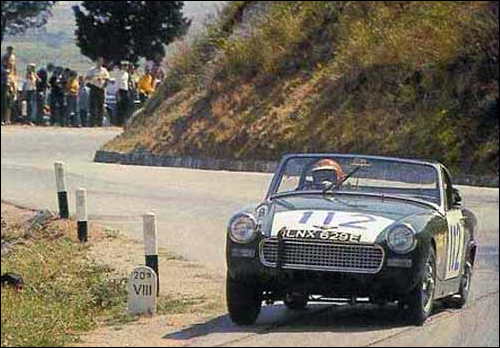 Sprite Mk II (Rauno Aaltonen - Clive Baker) by Donald Healey Motor Co. at Targa Florio. 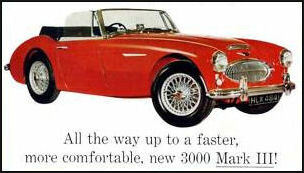 Healey SR, engine: Coventry Climax 1.968 cc. 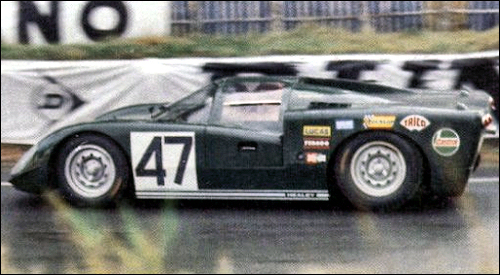 (Clive Baker / Andrew Hedges) by Donald Healey Motor Co. Ltd. at 24h Le Mans. 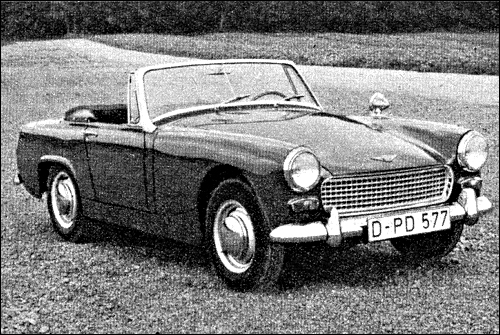 Austin-Healey Sprite, engine: 1.293 cc. 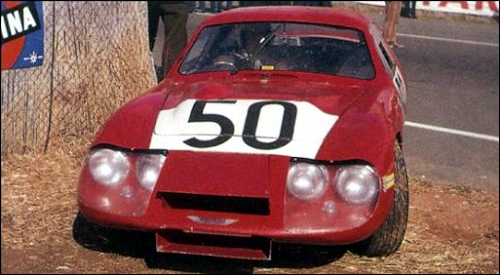 (Roger Enever / Alec Poole) by Donald Healey Motor Co Ltd. at 24h Le Mans.